Tomorrow is one of our nation’s unique days dedicated to breaking bread with family, friends and loved ones. Instead of enjoying a day of laughs and food, some people are pushing to make it all about confronting the Trump supporters in your family. Don’t give in. Just one month after calls for unity and civility following a Jewish synagogue shooting and the mailing of bombs to Democratic leaders, we are back to a place where those on the left want to keep up the rage against conservatives. Second, they think that these people should be confronted and held accountable for their vote at every chance - including tomorrow’s dinner table. It's taking Rep. Maxine Waters' command to confront Trump Administration officials a step farther. So much for civil dinner conversation. But in this extremely tumultuous time, as children remain incarcerated on the Texas border and mass shootings dominate the news, moderates everywhere still insist that being nice to your racist, Trump-supporting relatives at the Thanksgiving table is somehow going to be the balm that prevents us from ending up in Margaret Atwood’s Gilead. Even though Democrats made strides in the 2018 midterm elections, many among us are still terrified of the impact that this overtly nationalist, deeply dysfunctional administration will have on people in this country and beyond. There is no amount of civility that can balance the harm of xenophobic nationalism, and no amount of sitting silently while listening to someone spew racial epithets that will repair what Trump and his ilk have broken. No. We need more people standing up to racism and bigotry than ever before. Because guess what? The racists aren’t worried about offending us, so why are we worried about offending them? Let’s be clear, calling out racist statements is the right thing to do just like addressing a relative who is being abusive. What’s wrong though is to call people, policies, and ideas racist when they are not. Just because you disagree with who your aunt voted for or hold different political views than your father, it doesn’t make them an evil person. These columnists paint all supporters of the President and this administration as racist for political motivations, regardless of what the facts or evidence say. Supporting this administration’s policies should not automatically garner an unfair label. They want to shame independent-thinking people onto their side. When we lose the ability to speak our minds or we choose to only surround ourselves with people who think like us, we build echo chambers that make us more narrow-minded and myopic in our perspectives than open and understanding. The conservative worldview is harder to find unless you specifically hunt for it in explicitly political vehicles or religious-themed programming. This has allowed much of the Left to assume that everyone who votes Republican supports the most extreme fringe perspective offered by anyone on the right or fits the cartoonish stereotypes of conservatives presented on liberal programming. Progressives need to have more opportunities to walk in conservatives’ shoes. Just as conservatives give liberal women the benefit of the doubt that they are against the violent, racist, misogynistic elements of their party, progressives should consider that women who vote Republican may actually believe that their policy platform is the best path forward for the country. 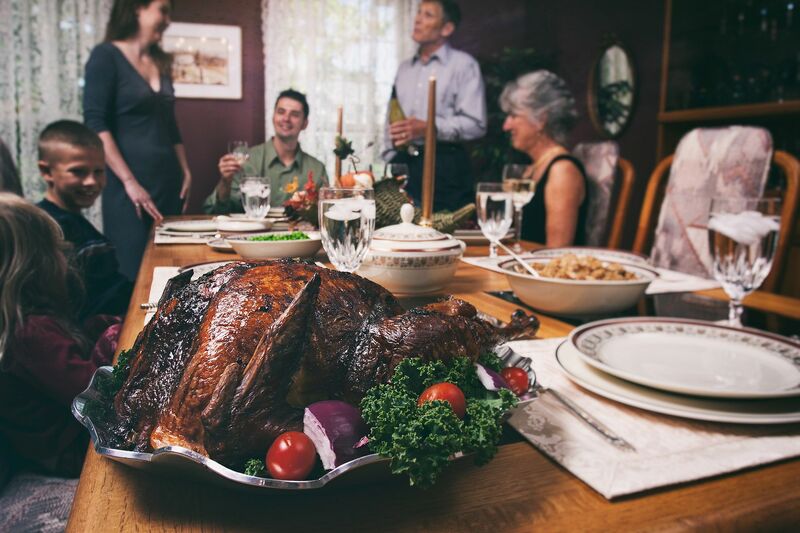 Avoiding political discussions at Thanksgiving may work for some families. For those who choose to engage though, instead of flipping tables, flipping the bird, and flipping out as these writers admonish, let’s practice our civility muscles. Listen, disagree or challenge respectfully (i.e. without name-calling and labeling), and learn. We will see that most people just want the best for themselves, their families, their communities, and our nation.